At least she had her privacy! I take it Sheilas was a campsite, garbage was dumped behind the cinder block wall, that is just a guess. 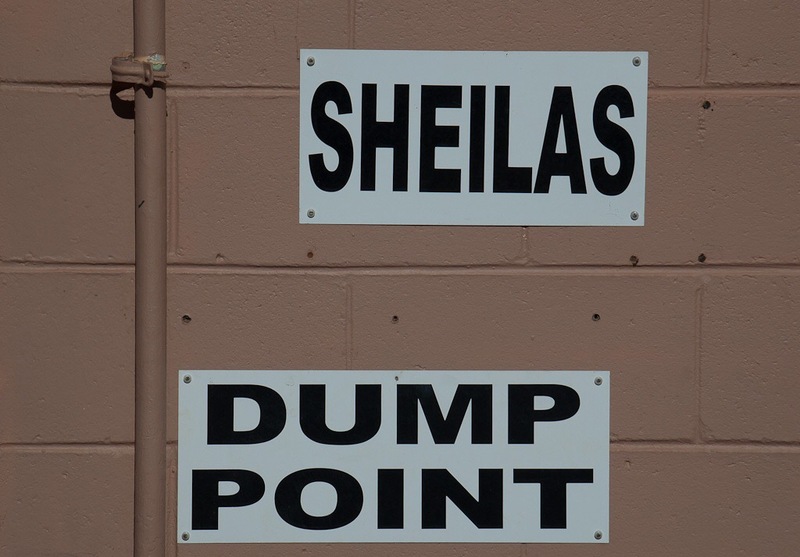 Sheila’s is the ladies toilet. Blokes, the men’s. Dump point is where you empty your RV toilet cassette. And you thought that we spoke the same language! Not the same language. I’m really foreign, and dumb at that! Next Next post: Free WIFI?